The Melpitz site is located in Germany in the Saxon lowlands near the city of Torgau in the glacial valley of the river Elbe. 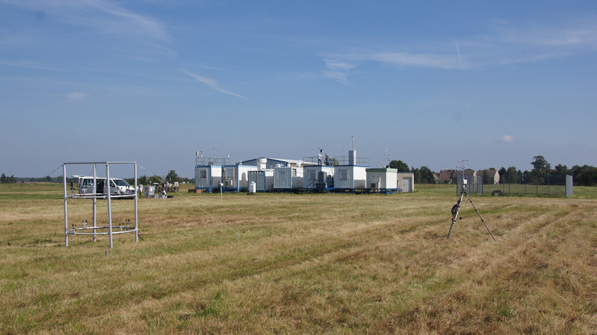 The rural background site operates by the Leibniz Institute for Tropospheric Research in Leipzig. The GAW regional station is integrated in EMEP (level 3, code DE44) in collaboration with the German Federal Environment Agency. The Melpitz site is a central place for a comprehensive size-segregated chemical-physical long-time Characterization of the aerosol in the regional background. Special measurement techniques allow time resolved quantification of individual chemical. Field-experiments for a physical characterization of the troposphere and for atmospheric chemistry can be realized using the existing infrastructure.